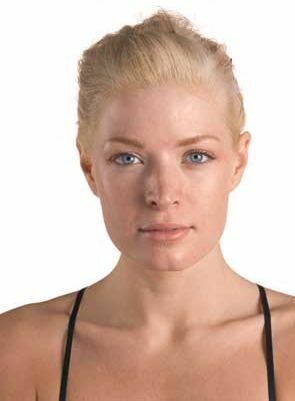 FacialContouring.org ... our mission is to provide Facial Contouring and face shaping beauty, with potential treatment and skin beauty medication and eye creams. There are excellent new ways to contour faces. Teen girls also want facial beauty as do women of all ages. The oldest known facial massage in human history dates back to the 3rd century B.C. where it was written about in an ancient Chinese medical text. Scientists have discovered many subsequent ancient medical records in archeological digs conducted in Greece, Persia, Japan and India. All these early-day writings have one thing in common; their Facial massages were described in vivid details but always as part and parcel of total body massage therapies in which specific pressure points on areas of the face and neck were depressed sufficiently to loosen obstructions in the flow of the vital energy which is also known as gi. In the cosmetic and beauty arena, the facial massage is administered with the intent to slow down the natural aging process and to attain younger, healthier and more vibrant looking and feeling facial skin. However, facial massage also has therapeutic benefits as it can relieve and mitigate stress, migraine headaches, premenstrual syndromes as well as sinus congestion. In spite of their growing demand as entire massage sessions of their own, facial massages are not precluded from total body massage treatments. Needless to say, Facial massage treatments which are performed the entire session are much more comprehensive and include many elements which are not included in facial massages that are part of full body treatments. In both instances, though, gentle yet stimulating upward skin strokes are used in circular or semi-circular gliding movements. With the client comfortably reclining on his or her back on a treatment table and the professional seated closely to the client’s head, the face is thoroughly cleanses and wiped dry. A lubricant such as a cream, a lotion or oil is applied to the entire face and neck area. The Facial massage will begin with repetitive rounded movements and will include every part of the face as well as the neck, ears and scalp. Crucial pressure points will also be stimulated in the process. The face, neck and ears are cleansed of the lubricant used for the massage and a facial moisturizer is applies. Improvement of the facial skin and its muscle tone. Relaxation of the facial and eye muscles. Alleviation from tension headaches and general facial pain. The overall release of stress from the body and mind. The stimulation of meridian points on the face. Relief from eyestrain and neck tension. Correction of liver and fall bladder imbalances. Recovery from nervous disorders of the stomach. Release from premenstrual water retention. While clients are wearing contact lenses. Open sores, boils, cuts or recent scar tissues in the face or neck areas. Inflamed, infected or bruised skin of the face and neck. Acne, psoriases or eczema, all of which can be worsened by the treatment. Foremost in skin care is cleansing. Dirt and dead skin cells can accumulate on the top layer of the skin while bacteria can rapidly act upon it creating a major disaster we call acne. Here's a little skin trivia: skin is the largest organ in the body, covering about 19 square feet and weighs around 7 pounds. That accounts to millions of skin cells that need nourishment. However, the first step to achieve a radiant skin is proper cleansing. Cleansing skin care may begin by choosing a cleanser specially formulated for your skin type. Although our skin basically has a similar structure, the amount of oil produced by our skin has a huge impact on the degree of formulations of cleansers. For instance, dry skin formulations may contain more moisturizers than the oily skin types. However, bar soaps generally (no matter how they claim to contain moisturizers) are too drying and must be used only from the neck down. A means to find out if your cleanser is too drying is if it leaves a "squeaky" finish. Get the idea? It removes your skin's natural oil and lipids. Cleansing skin care is responding to your skin's actual needs and removes dirt and makeup. Cleansing skin care includes face washing with warm water to open pores and loosen deep-seated dirt. Extreme water temperatures may result to broken capillaries and cause your sebaceous gland to produce more oil. Also, in cleansing skin care, put a small amount of cleanser on your palm and apply on face in a circular motion. Then, rinse off with warm water and finally with cool water. Cool splashes close your pores down so as not to invite unwanted particles in. seborrheic dermatitis which is the appearance of red flakes on the scalp and T-zone. Finally in cleansing skin care, you might be better off with the simplest regimen. 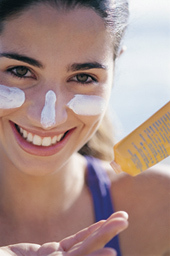 Too much of anything, especially on the skin, can wreak havoc. Cleansing skin care prioritizes cleansing the skin more than anything else. After all, dirt is a major source of any problem.